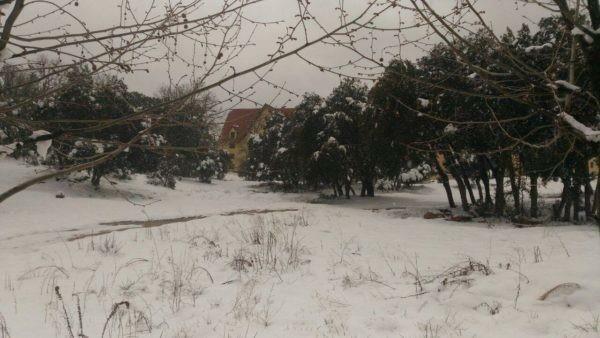 (MENAFN - Morocco World News) ">Rabat – The early cold wave and snow have taken Morocco by surprise, especially in relation to the government's plans to handle the consequences of the weather. But a week of rain has flooded cities like Casablanca , and 1.2 meters of snow has isolated people in the mountains of Ouarzazate, Boulemane, Azilal, Haouz, and Beni Mellal. The cold wave also preceded the full implementation of the government's winter plan for remote areas. Photo: Alyaoum24Last year, winter snowstorms prevented travel on 38 national roads and shut down almost 900 rural schools. The weather prompted the government to launch an ' ' mission to open the roads to areas isolated by snow. At the time, Head of Government noted the insufficient number of available snowplows despite the government's efforts. Not much has changed this season. Moroccans have denounced the lack of snow removal equipment following the death of a in Taza who had been missing for a week. The shepherd was found frozen on Sunday. 'When they lost hope, they stepped back, while citizens continued to search for him until they found him dead, frozen in the snow,' the Facebook user alleged. In response to the suffering of people in the mountainous areas, like every year, has given instructions to the Mohammed V Foundation for Solidarity to mobilize and provide the necessary care.